The limited-run race car gets a new paint job making its debut on an AMG. It was in 1967 when Mercedes engineers Hans Werner Aufrecht and Erhard Melcher decided to leave the company and rent a barn in Burgstall an der Murr located near Stuttgart to create what was known back then as “AMG Motorenbau und Entwicklungsgesellschaft mbH.” If you’re wondering about the origins of the “AMG” moniker, it comes from the initials of their surnames combined with “G” from Grossapach, which was Aufrecht’s hometown. Almost 10 years later, the firm’s headquarters were moved to Affalterbach, but development of race car engines continued in Burgstall. Fast forward to 1993 when AMG was already known for its upgrades tailored to Mercedes models, the two companies inked a deal to co-develop models. The first mass-market car was the C36 launched the very same year to take on the BMW M3 (E36). During the ill-fated DaimlerChrysler era, the conglomerate bought 51 percent of AMG shares on January 1, 1999 and renamed it Mercedes-AMG GmbH. 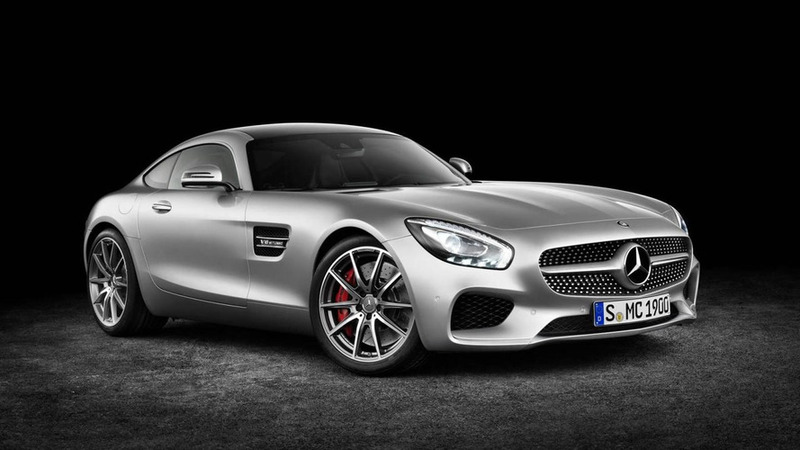 Since January 2005, Mercedes-AMG has been a wholly owned subsidiary of Daimler AG. Now, half a century later after AMG’s inception, Mercedes is celebrating the anniversary with a special version of the track-only GT3 capped at five units. Appropriately called “Edition 50,” it gets a special paint job never seen before on an AMG, with a matte look for the carbon fiber front and rear diffusers, air intakes, radiator grille, and side skirts . There are also AMG logos on the disc band and rear aerofoil to further differentiate it from the standard version. An open Performance exhaust system has been added, while the restrictor was taken out for even more performance. Inside the cabin, a "real black" shade was used for the visible floor assembly as well as for the roll cage, along with matte black carbon fiber accents applied onto the door panels, sills, dashboard, and the center console. Rounding off the enhancements are the extra AMG badges, an individually numbered plaque, and a carbon fiber safety cell on the front passenger's side. There's also "50 YEARS OF DRIVING PERFORMANCE" lettering on the seatbelts and on the bespoke car cover that comes bundled with the race car. Some of the adjacent images are actually focusing on a high-end watch created specifically to mark the launch of the Mercedes-AMG GT3 Edition 50. IWC Schaffhausen is going to make 250 units of the fancy timepiece known by its full name as the "Ingenieur Chronograph Sport Edition 50th anniversary of Mercedes-AMG." Those five people fortunate to own the car will get the watch as well. The limited-run race car follows the road-going Mercedes-AMG GT C Roadster Edition 50 launched back in February to celebrate the same milestone. The culmination of Mercedes-AMG’s anniversary festivities will happen in September at the Frankfurt Motor Show where the F1-engined Project One will finally be introduced. With the new AMG GT3 Edition 50, Mercedes-AMG is presenting an exclusively equipped small series which is aimed at racing-enthusiast car collectors. With its unique colour concept, the extensive optional extras and the strict limitation to merely five vehicles, the customer sports special model commands an outstanding position for lovers of Mercedes-AMG vehicles. The Mercedes-AMG GT3 is one of the currently most successful customer sports racing cars in the world, crowned by the quadruple victory in the 24‑hour race at Nürburgring in 2016. It forms the basis for an extraordinary special model which Mercedes-AMG is issuing to mark its 50th birthday: the AMG GT3 Edition 50. A mere five car collectors will have the pleasure of parking this very special Customer Sports car in their garage. The striking special paint finish, worn by an AMG car for the first time, already signals the special status enjoyed by the Edition 50 in AMG model history. The likewise new "real black" colour forms an authentic motorsport contrast. Among other places, this matt black is found on the "50 YEARS AMG" emblem on the bonnet. The super-light and strong motorsport material carbon fibre is also used for the front diffuser, the rear diffuser, the rear aerofoil including end plates, the flics at the front, the air intakes, the radiator grille and the side skirts, each painted in a matt finish. The disc band and rear aerofoil bear the AMG logo. Furthermore, the open Performance exhaust system provides an acoustic USP and the elimination of the restrictor ensures optimised performance. Additional extras include a car cover sporting the "50 YEARS OF DRIVING PERFORMANCE" emblem and a very exclusive birthday highlight from AMG partner IWC Schaffhausen: Each of the five vehicles is delivered to its customer with an Ingenieur Chronograph Sport Edition "50th Anniversary of Mercedes‑AMG" watch from IWC Schaffhausen, customised in the style of the vehicle. The Mercedes-AMG GT3 Edition 50 is delivered directly in Affalterbach, where customers can experience exclusive insights into the world of AMG Driving Performance. In the 360-square-metre delivery hall there is an extensive introduction to the new vehicle's technical features and operation. On request, AMG GT3 Edition 50 customers can receive personal racetrack coaching as part of a commissioning event with the vehicle.